Looker allows anyone in your business to quickly analyze and find insights in your data sets. By connecting directly to your Snowflake data warehouse, Looker opens up access to high-resolution data for detailed exploration and collaborative discovery, building the foundation for a truly data-driven organization. 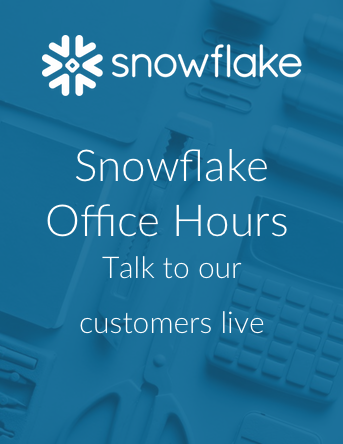 Read what Looker has to say about their Snowflake partnership here. By combining Snowflake’s unique cloud data warehouse with Looker, business teams and data analysts can curate and explore data at any scale with outstanding performance and flexibility. Working together, Looker and Snowflake deliver a tightly integrated solution for modern data analytics that takes full advantage of the cloud. Hear how Lilly Pulitzer used Snowflake and Looker help consolidate data sets and deliver real-time insights. Download the full report to learn how PDX created a new revenue stream as a data analytics provider for pharmacies while improving performance of its existing services. Snowflake teams with Looker to provide easy BI deployment for cloud data warehousing. Read how to transform business decision making with next-gen cloud data architecture. Explore the latest trends in cloud analytics to get more value with new ideas and modern alternatives. Read about the methods and techniques you can use to fully utilize the power of Looker and Snowflake together. Watch how the leading health care services provider with a network of 85,000 providers and 83 million patients nationwide leverages Snowflake and Looker to radically accelerate its reporting with near real-time updates. Hear how Snagajob the leading job search website that collects more than 20M events on a daily basis is benefiting from having one source of truth for all their data, increasing query speed 3x, and scaling up & down compute on demand with Snowflake and Looker.